Things in Australia are really feeling like they are about to be turned upside down – a new mob is in power and they want to fix up all the stuff that they think needs fixing. Think Peter Reith on the waterfront. 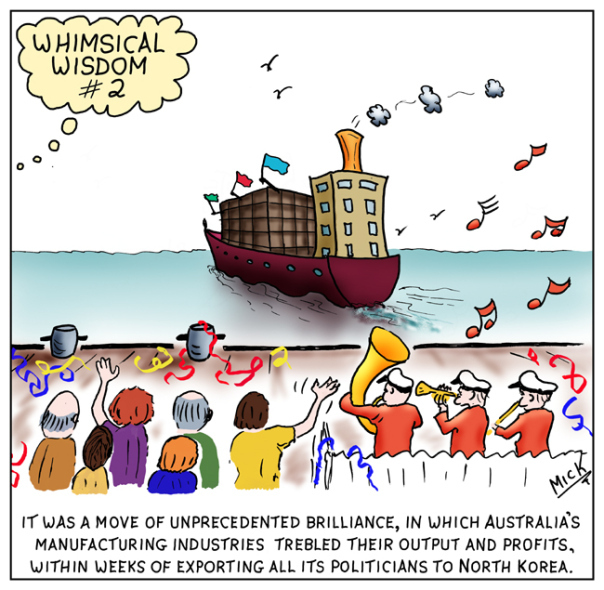 Think Paul Keating on the floating dollar. Think Christine Milne on … well, everything. Now it’s Abbott’s turn. But can we trust that Joe, Tony, Barnaby, Greg and Co. have the right basic thinking to work from? (Because if they don’t, we are only further up the creek.) Australia is already well behind other OECD countries in many respects; in manufacturing, education, R&D expenditure, value-adding of primary products, exports, provision of health care, welfare, long-term policies for infrastructure development, energy, energy efficiency and reduction of greenhouse gas emissions, to name just a few. I’d argue that, on a national scale, we lack a coherent longer-term perspective. I’m not sure if this is because of the quality [Ed.’s note: ???] of our politicians, or that the weather is generally warm, or that we can just get along by digging stuff up out of the ground. Maybe it is partly due to the influx of whingeing 10 Pound Poms. Maybe it’s the ‘she’ll be right’ attitude, intellectual laziness or political apathy. Whatever it is, we accept that the Westminster system of democracy (aka adversarial politics) is the best there is, and we don’t look for other more effective systems. Similarly, we more or less accept it when political or economic commentators say manufacturing in Australia is doomed, and we all need to take up training as Baristas and work in tourism or the hospitality industry. It appears to be a foregone conclusion that global warming is inevitable and, as a result, by 2050 Melbourne will have the climate of Mildura and the issues that will come along with this – cane toads, dog heartworm, mosquito-born diseases, constantly-working desalination plants. 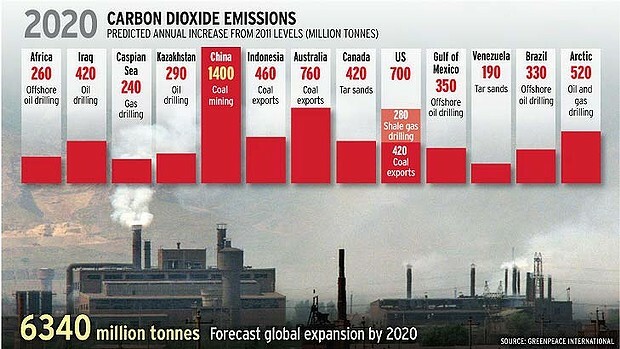 And many (not you, of course) truly believe that Australia is responsible for no more than 1% of global GHG emissions, and that the carbon tax is an unfair impost on the working family, and global warming is best dealt with by the installation of more air-conditioners. When the train rails buckle in 45+ degree days, we assume this is normal. But it doesn’t have to be like this. There are clearly other, better models for infrastructure investment, directing the bureaucracy, and reducing racism; or the host of other things, large and small, that we assume are normal. 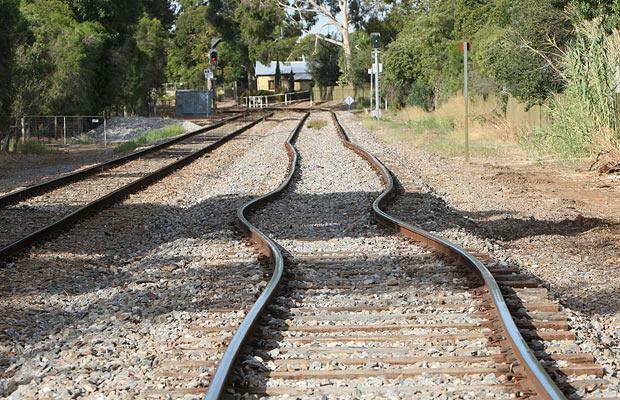 For instance, the issue of rails buckling due to major temperature change puzzles me. We don’t hear of this happening in other countries – Canada or Finland or Russia, for instance – where temperatures range from minus 30 Celsius to 35+. In these regions, the ground that carries the rails can go from frozen solid to swamp without any apparent problem. I talked recently to a tunneling guy from Norway who was here for something to do with the Burnley Tunnel, and he was commenting about all the leaks there that were such a problem. ‘We don’t have this problem in Norway,’ he said. And then I was in Finland during the last election and mentioned to someone how big a problem it was that we had this hung parliament at federal (not to mention at state) level. ‘This is normal for us,’ she said. ‘Almost always the government here is a group of parties.’ I hear that in Denmark it is maybe 100 years since a single party had a majority. The Danish TV series Borgen is all about this. It is lamentable that Australia has a policy vacuum in relation to forestry and farm forestry and there is no apparent concern from politicians. A lack of coherent intelligent long-term planning is also obvious in the areas of public transport, agriculture, urban planning, energy efficiency, energy from waste, passive solar building design, recycling. In some of these we are told we are doing well, but in comparison with OECD or EU standards, we simply aren’t. Similarly, in Australia we are getting nowhere with this whole thing of the carbon tax and reducing national greenhouse gas emissions. Somehow the dialogue on these issues never includes the better models in place in Israel, Switzerland, Brazil, or the EU-15 countries. We never actually hear in detail about what China is doing in this respect, or New Zealand, or how the UK has made a recent turnaround, or how various states of the USA and provinces in Canada are working productively on all this. The ‘quality’ newspapers are failing to inform us and the specialist media is not much better. The ABC, with its mission to ‘Educate, Inform and Entertain’, is full of people (ex-lawyers, retired comedians, people with Arts degrees) who believe the same flawed information as do the public and politicians. This brings us back to the talk about the decline of manufacturing and the solution in a development of the ‘service’ industries. In reality, when we compare ourselves to how things are elsewhere, many countries that have similar or higher wage rates and costs are manufacturing and exporting powers. It is clear from looking at some of these that the manufacturing sector here is limited by things that are not impossible to change. These include education and training, corporate taxation rates, wages/conditions/social security, investment certainty (i.e. smart long-term policy written into legislation, and sensible bi-partisan agreements), export support, and a focus on design and innovation. The Israelis, having worked on all these, are doing well, as are the Finns, Swedes, Austrians, Danes, Germans, Brazilians, and many others. Once, when we had less than half the current population, Australia had an extensive rail network, a world-leading electricity grid, a major steel industry, and we processed much of our own wool to final product. We produced our own agricultural machinery, locomotives, ships and electrical goods. We led in many areas of scientific research, including plant and animal breeding and in medicine. We were aware of what was going on elsewhere, and we were up with the international leaders in many areas. But at some stage in the late 1960s or 1970s we really slackened off (perhaps this was coincidental with the formation of the EU and/or the removal of tariff barriers here). The countries named above continued investing in infrastructure and education, and focused on developing in areas where they had some advantage. Editor’s postscript: As I’ve plundered the web for images to run alongside Andrew’s rant I want to acknowledge my sources. The first (brilliant) cartoon is by Cathy Wilcox. 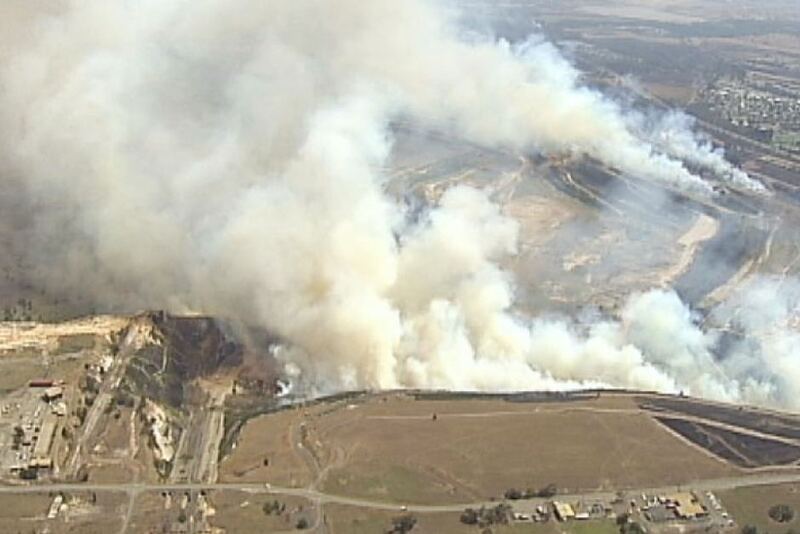 The next photo is of the fire in an open-cut coal mine at the Hazelwood Power Station in the Latrobe Valley, Victoria, which has been burning since February 8th 2014, pumping masses of carbon and other damaging toxins into the air, impacting on the health and safety of those living in the region. The picture of buckled railway tracks is from The Telegraph UK and is a now all too common experience in Melbourne during heatwaves. The graphic of projected carbon emissions by 2020 is from Greenpeace Australia Pacific; the great cartoon about the disappearance of the Australian manufacturing sector is by Mick. 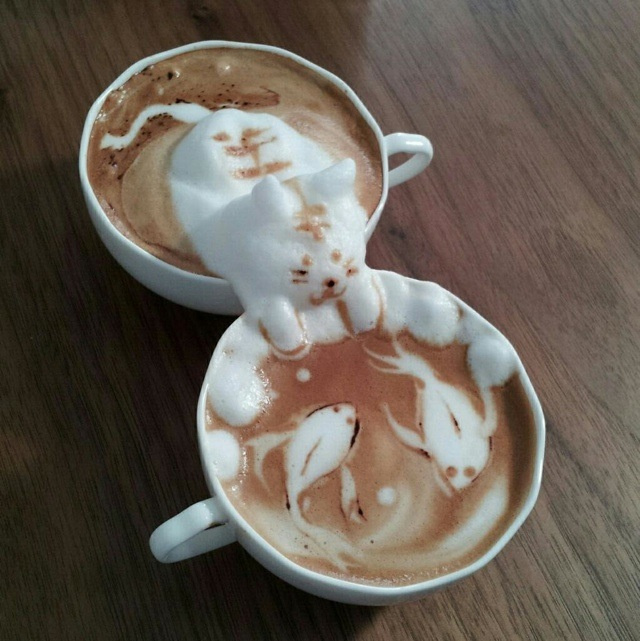 Finally, if you decide to change careers, this Japanese Barista, Kazuki Yamamoto, has elevated the skill of coffee decoration to a fine art. The feature image is from the ‘Light The Dark’ vigil held in Melbourne last Sunday night, protesting the death of asylum seeker Reza Barati at the Manus Island Detention Centre and the Australian Government’s inhumane treatment of asylum seekers in general. Agree. Good on you for extracting that cable tie. It’s a bit like me when I’m body-surfing and picking out plastic bags from the ocean. One does one’s bit. Happily, there’s always vegetables. I’d like to correct one thing in that piece. It’s not a rant. It is a superbly written and reasoned dissection. I delivered a lecture just this morning to my students around the idea of “design thinking” that covered many of the concerns mentioned. It is a failure of imagination and questioning that leads to such a malaise. I am fairly certain that the current mob have no imagination and thus lack the ability to question – even more so than their esteemed predecessors of either hue. Real solutions come from questions outside the current, redundant list of possibilities. Great post. I was going to upload some photos of resurgent citrus (see a previous blog post) but that all seems quite trivial now. In many ways it seems appropriate that ‘Tony Abbott’ falls after ‘thrip’ in the tags. I’m sorry Sophie, it was way too long. It just all got bottled up. Now I feel a lot better. And great inserts, specially the last one. I think it is time you did a good post on zucchinis. Apology accepted. Better out than in, as they say. And it may not be zucchinis, but cucumbers, as I seem to have developed a knack.